When people think of search engines they always think of the big ones: Google, Bing and Yahoo! But there is one that is oftentimes overlooked. That website is YouTube, which is the second largest search engine on the Internet with over 3 billion searches per month according to Mushroom Networks infographic. 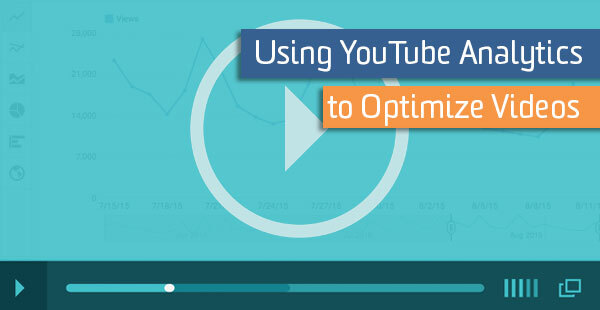 YouTube makes it easy to optimize content through various tools they have embedded into their website. Some tools are incredibly helpful, while others are lacking in quality performance. So how does one weed out which tools to use and which to pass? If you are unfamiliar with YouTube Analytics, this is what it looks like. It provides data only pertaining to videos, including extra information about annotations, likes and dislikes, etc. It also includes an estimated earnings report. YouTube Analytics is important because it gives you an idea of who your audience is and where they are located in the world. Happen to have a lot of viewers from France? Consider implementing captions in French for your fans in France (try saying that fives time fast). Traffic sources is also an important tool. Similar to Google Analytics, you can find an entire breakdown of where your channel’s traffic is coming from. Interested in what suggested videos are heightening your views? YouTube provides you with a breakdown of this information. Want to see how many views are from subscribers versus non-subscribers? You can find that information here as well. So the question becomes What do I do with this information?. Take mobile for instance. More and more internet users are using mobile devices than ever before – no surprises for anyone. ShareThis recently found that users on mobile devices are 2x more social than desktop users. Are more of your users using desktop computers or mobile devices? Are some using their televisions? If so, how can you optimize your content to give your viewers the best experience? If your channel has a significant amount of mobile content, make sure that your channel banner looks good for mobile users too! Consider SEO tactics that can also apply for video titles and descriptions. If you notice that a certain search query is triggering a significant amount of views for your videos, then consider incorporating the keyword and synonyms into the description box and title of your videos where applicable. I mentioned earnings before. Most people have heard the stories about teen YouTube stars making millions, but may not know the particulars for how it works. By partnering with YouTube or another network, you gain the ability to earn money by allowing ads to play over content on your channel. YouTube Analytics breaks this down under Ad Performance and can sort the information by Ad type, Gross Revenue, Impression-based CPM and Impressions. Ad Type is the format of the ad that is served on your content. Gross Revenue is the amount of money made from advertising sources. Impression-based CPM is the estimated gross revenue per thousand served ad impressions. Impressions are how many times an ad was viewed. CPM is not as important for content creators as it is for advertisers. AdSense is what Google uses to pay you. Your monthly estimated earnings appear here however, you must use YouTube Analytics to view your daily earnings.